*Free if you were born in the Year of the Pig (1923, 1935, 1947, 1959, 1971, 1983, 1995, 2007, 2019). Valid photo ID required. 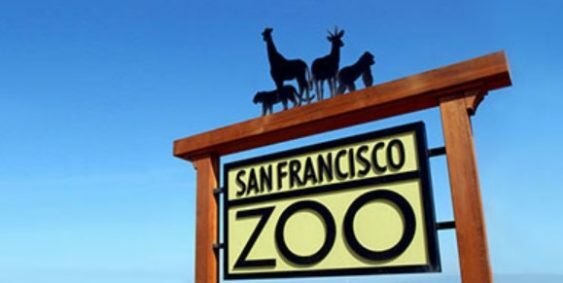 Get into the San Francisco Zoo for free if you were born in the Year of the Pig (1923, 1935, 1947, 1959, 1971, 1983, 1995, 2007, 2019). Plus enjoy a day of Chinese New Year performances and activities at the zoo. Soak up the ambiance of the occasion and marvel at traditional Chinese lion and folk dance performances at 11:00 and 1:00 daily in The Depot. Go on a Zodiac Scavenger Hunt through the Zoo to learn fun facts about the animals found on the Chinese calendar. Make sure to stop by the Family Farm to see the kunekune pigs in celebration of Year of the Pig.